There is a growing opportunity open for security integrators to address the support needs of connected consumers and their smart home devices. As the connected home ecosystem continues to grow and the technical complexity of broadband households increases, the technical support needs of consumers change. Currently consumers own an average of 10.5 connected devices, including an average of 1.4 smart home devices. Smart thermostat and smart security cameras lead the smart home market in reported adoption, with 11% of US broadband households owning a smart thermostat and 10% owning a smart camera. With these connected devices come technical issues, and consumers take a range of actions after experiencing problems. These actions include seeking to resolve the problem, either on their own or with professional help, as well as returning or replacing the device. Among self-help support options, consumers are slightly less likely to use self-help applications on their devices than other support resources. This is likely driven by lower availability of the self-help applications compared to other self-help resources. Among professional support resources, consumers are least likely to email a device manufacturer or contact an independent support provider. Compared to other resources, email is a less popular means of support, especially for computing device owners. Ultimately, the decision to use self-help versus professional support resources will depend on competence and convenience. Competence – Consumer familiarity with devices in the market helps to drive perceived competence. Convenience – Seeking professional support, via phone, in-store services, or even a truck roll, can be inconvenient regardless of the channel. Consumers can be frustrated by long wait times to connect to remote support services through the phone or chatbots. Also inconvenient are trekking to a store for in-store support and scheduling a time for a tech to provide support at home. The most extreme option, from an industry perspective, is to return or replace the device, but this is generally the least likely option, although consumers are slightly more likely to return smart home devices than computing or entertainment products. Consumers are more familiar with the latter, more mature category of products and more likely to consider them essential. One in five consumers who found the smart home device setup process “very” difficult returned their device, so product returns are a threat to industry growth for the smart home. As the smart home industry increases market penetration rates, minimizing product returns will be critical, and doing so will require increasing consumer perceptions of product familiarity and convenience when setting up, using, and troubleshooting these devices. Just over one-half of smart home device problems resolved by a professional technician are resolved for free. This represents a slight increase over the past year and corresponds with a significant decrease in the percentage of consumers covering the cost of services using one-time fees. The falloff in one-time fee payments also corresponds with a slight increase in the percentage paying for services with an existing support and warranty service. Traditionally, companies offering premium support services for smart home devices, such as HelloTech and Amazon Home Services, did so for one-time fees. 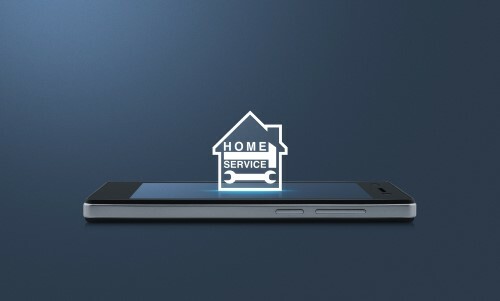 However, existing subscription support service providers — including Best Buy (Geek Squad) and Verizon — have expanded their device coverage to include smart home devices. Increasing device reliability – Just over 40% of consumers who do not have a technical support subscription report that they have not subscribed to a service because their devices usually perform well. If consumers perceive that they will not need support, it is highly unlikely that they will pay monthly or yearly for a support subscription. Consumer ability and desire to resolve technical problems – More than half of the technical problems consumers encountered with their devices over the past year were resolved without professional help. Among consumers who do not have technical support subscriptions, approximately one quarter report that they do not have a service because they do not need help resolving technical problems. Lower-cost technology – Given that the cost of consumer technology is declining, some consumers may choose to replace a problematic device, rather than acquire a subscription service to resolve its problems. Consumer preference to pay when they have a problem – When given the option to pay for technical support services per incident or use a monthly or annual fee, the majority of consumers (70%) prefer to pay for each incident. More than 40% of consumers who do not have a technical subscription report that they do not have one because they prefer to pay for technical support services only when they encounter a problem. Increasing technical complexity in the home – As consumers attempt to enable complex use cases within the smart home, interoperability issues can emerge, prompting the desire/need for support subscriptions. Connectivity issues – Maintaining reliable WiFi connectivity throughout the home is complex, and monitoring is required to prevent service interruptions. Device innovation and emerging devices – Consumers’ lack of familiarity with new products drives enablement support needs, including assistance with product setup and use. More devices in the home – Consumers with more devices in the home experience more technical problems on average, making them more likely to acquire a support subscription. 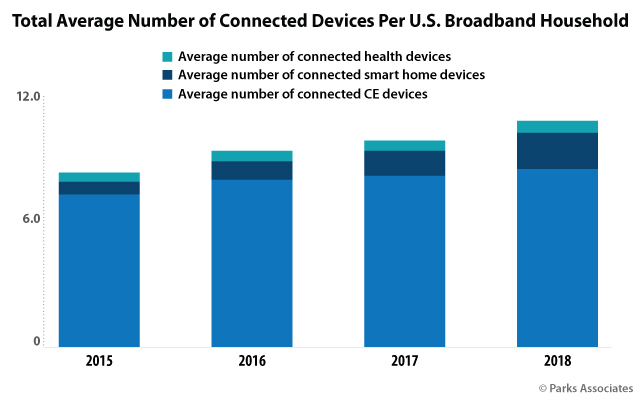 Increased security concerns – Nearly two-thirds of broadband households report concerns about security and privacy when using their connected devices. Protecting consumers from ongoing threats requires ongoing monitoring – a model best served by a subscription service. The market for support subscriptions remains fairly fragmented. A number of consumer technology brands, including security software companies and independent companies like HelloTech, all capturing a small share. With the increasingly competitive market for consumer technology products and services, providing robust technical support services is a competitive differentiator. 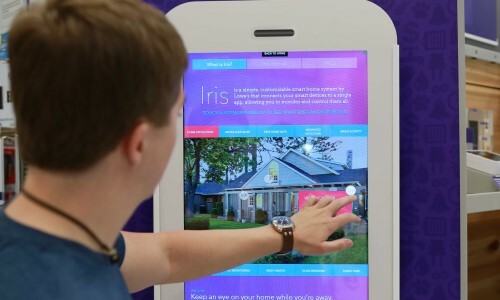 There is a growing opportunity open to all players to address the support needs of connected consumers, and the smart home industry in particular is making investments in technical support resources. 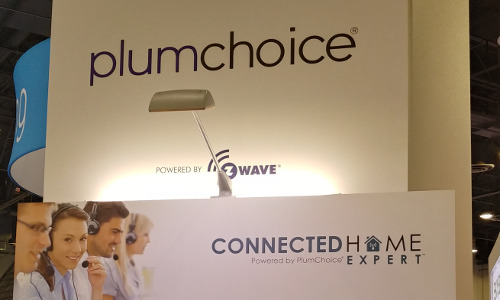 Ayla Networks, a proven smart home platform offering Cloud services to smart home device manufacturers, recently partnered with PlumChoice to offer enhanced technical support services to its device manufacturer partners. Puls Technologies, a San Francisco-based company providing smart home support, recently received $50 million in funding, an indication of an anticipated need for support services in the industry. The consumer decision process regarding support solutions in the face of device problems depends on their perceptions of the devices and the convenience of the available options. As the number of services increase, consumers will have multiple options to choose from, so convenience being a key factor in determining their success. Support services with intuitive self-help solutions, which can be scaled up to more robust and engaging services when necessary, will find a receptive customer base among today’s smart home households. ORINDA — Laura Lyons was preparing food in her kitchen Sunday when the lazy afternoon took a turn for the absurd. A loud squawking — similar to the beginning of an emergency broadcast alert — blasted from the living room, the Orinda mother said, followed by a detailed warning of three North Korean intercontinental ballistic missiles headed to Los Angeles, Chicago and Ohio. “If [someone] knew a reporter or competitor’s email address, [they] could view all their cameras.””At the same time, the source said, Ring unnecessarily provided executives and engineers in the U.S. with highly privileged access to the company’s technical support video portal, allowing unfiltered, round-the-clock live feeds from some customer cameras, regardless of whether they needed access to this extremely sensitive data to do their jobs. For someone who’d been given this top-level access — comparable to Uber’s infamous “God mode” map that revealed the movements of all passengers — only a Ring customer’s email address was required to watch cameras from that person’s home. Although the source said they never personally witnessed any egregious abuses, they told The Intercept “if [someone] knew a reporter or competitor’s email address, [they] could view all their cameras.” The source also recounted instances of Ring engineers “teasing each other about who they brought home” after romantic dates. Although the engineers in question were aware that they were being surveilled by their co-workers in real time, the source questioned whether their companions were similarly informed. LONG ISLAND, N.Y. — A mother in Long Island says a stranger hacked her family’s Nest camera and tried having a conversation with her five-year-old son, according to WPIX. “He asked my son if he took the school bus home and he was asking him about the toys he was playing with and when my son said ‘mommy, mommy,’ he told him to shut up,” she recalled. Amendments to the city’s security alarm system ordinance reflect the adoption of a new digital accounting system, along with modification to a fee payment schedule. 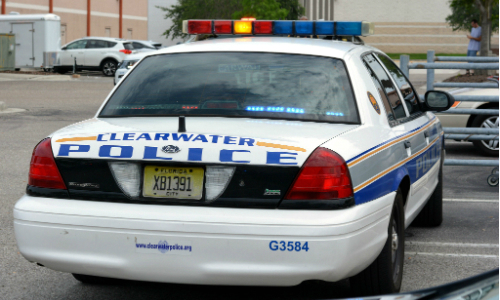 The Clearwater Police Department hired a web developer to create a new alarm registration system to manage online registry, oversee the issuance of citations and receive payments. CLEARWATER, Fla. — Residents and business owners here are now required to register their security alarm systems with the police department, following revisions to a city ordinance. Clearwater Police Chief Dan Slaughter appeared before the Clearwater City Council on March 12 to seek approval for the amendments to the ordinance. The city now requires that all residents and business owners who have a security alarm system to register with the police department, tbnweekly.com reports. For the past two decades, the police department had handled all permits and registrations manually. 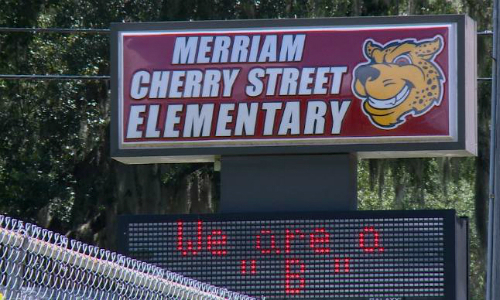 “But now with the 20,000-plus customers we have in the city of Clearwater, the time has come for us to digitize and bring it up to date with current standards and current common practices,” Slaughter told council members. The police department hired a Web developer to create a new system for the city to meet these needs, Slaughter said. The system will allow the department to manage the online registry and oversee the issuance of citations and to receive payments. 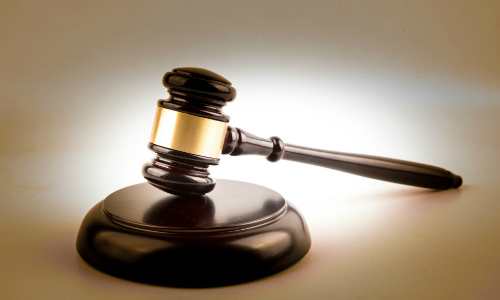 Changes to the ordinance reflect the adoption of the new digital system, the discontinuance of stickers which were given alarm system owners, and modification to the fee payment schedule, the website report. Citation payments are now required to be made within 30 days rather than 15 and the implementation of an escalating fee schedule. “Where in the past we gave one free alarm per year, and then after that it was a $50 fine, now there will be an escalating scale,” Slaughter said, referring to when an officer responds to an alarm and it is later determined to be a false alarm. According to Slaughter, there will be no fine for the first violation, but second through fifth violations will be $50 apiece, and six or more alarms would cost $100 per incident. Should an alarm system owner not register their system with the police department and officers should respond to a break in at their home or business, they would be issued a $50 citation. However, that citation could be waived should the owner choose to register with the police department, the website reports. Those owners who already have a valid permit and registration will be entered into the system by department personnel and need not reapply, unless changes to their systems have been made, Slaughter said. President Donald Trump (pictured signing previous legislation) has signed into law legislation that allows security equipment to bypass the U.S. Department of Energy requirements to carry “no-load” in an energy efficiency mode. Remote networking, monitoring and management tools like SnapAV’s Luma + OvrC can help customers protect their surveillance systems from hacking. New research by Parks Associates also shows that 20% of U.S. broadband households plan to purchase a network camera in the next 12 months. DALLAS — New research by Parks Associates reveals that more than 26 million U.S. broadband households will have professionally monitored security by 2021, and that total annual revenue for professionally monitored security in U.S. households will exceed $14 billion by 2020. Another report titled, Smart Home Devices: User Experience, shows that security is the strongest driver for smart home adoption. Among U.S. smart home device owners, 37% made the purchase to keep their home safe, while 29% wanted to monitor their home while away. 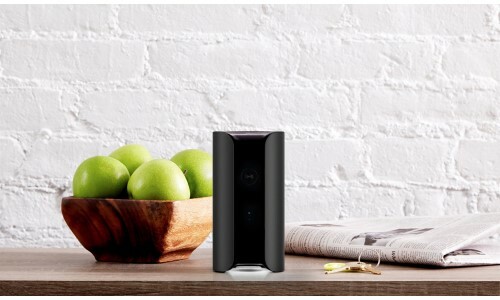 One-fifth of U.S. broadband households plan to purchase a smart all-in-one security product in the next 12 months, and another 20% plan to purchase a networked camera, according to the report.